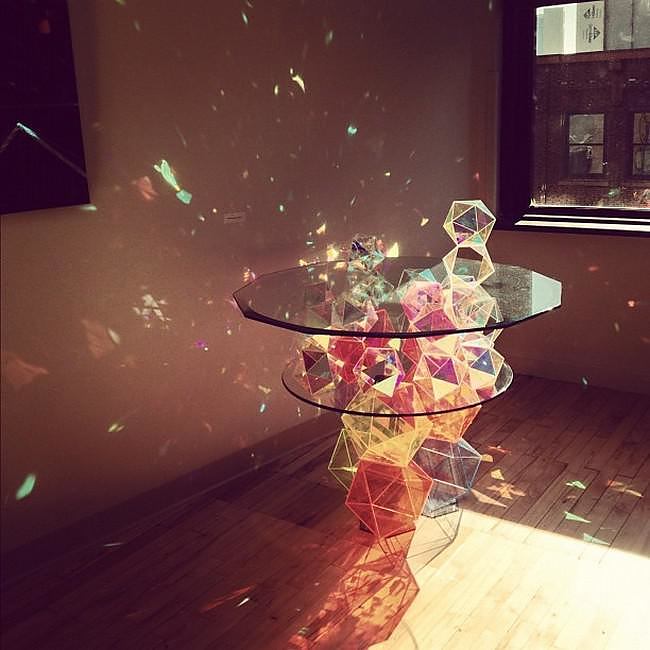 HomeBlogArtSparkle Palace Cocktail Table by John Foster. 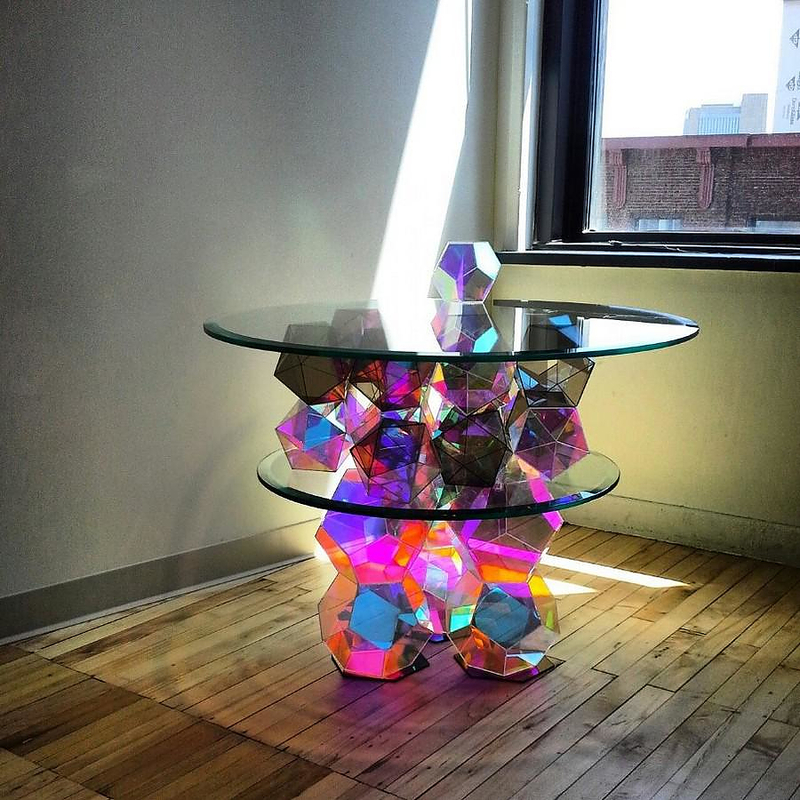 Minneapolis based designer John Foster presents the “Sparkle Palace Cocktail Table” a magnificent little table that is in fact a sparkling glass sculpture. 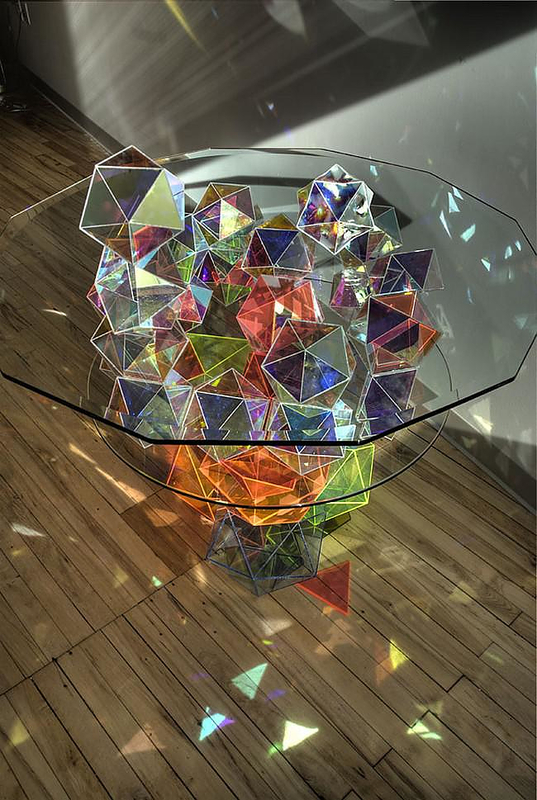 Disguised as a cocktail table this wonderful artwork will fill any space with vibrant colors and shining rays of light. 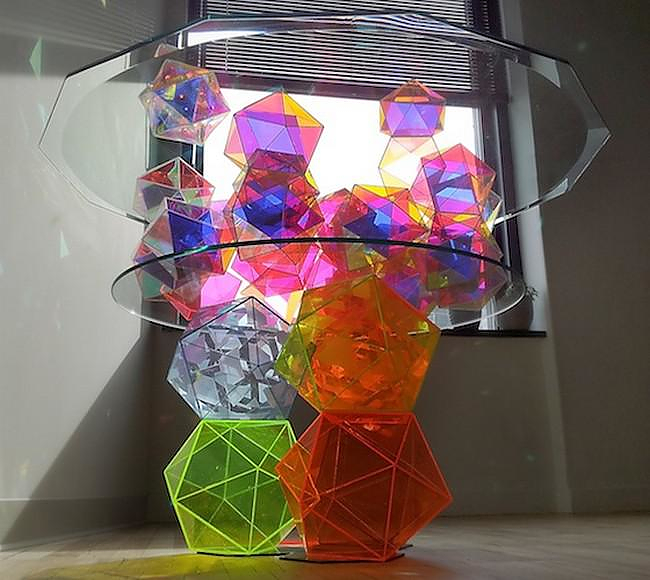 The one-of-a-kind Sparkle Palace Cocktail Table table is a magnificent fusion of glass and color. 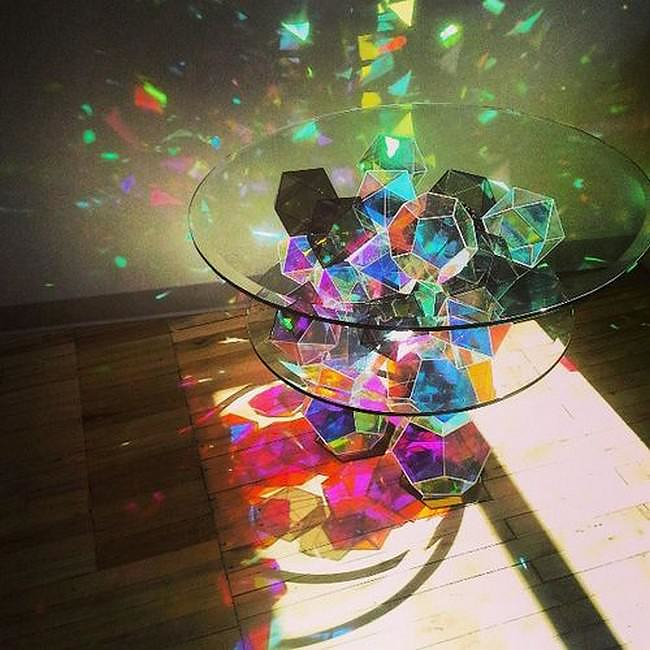 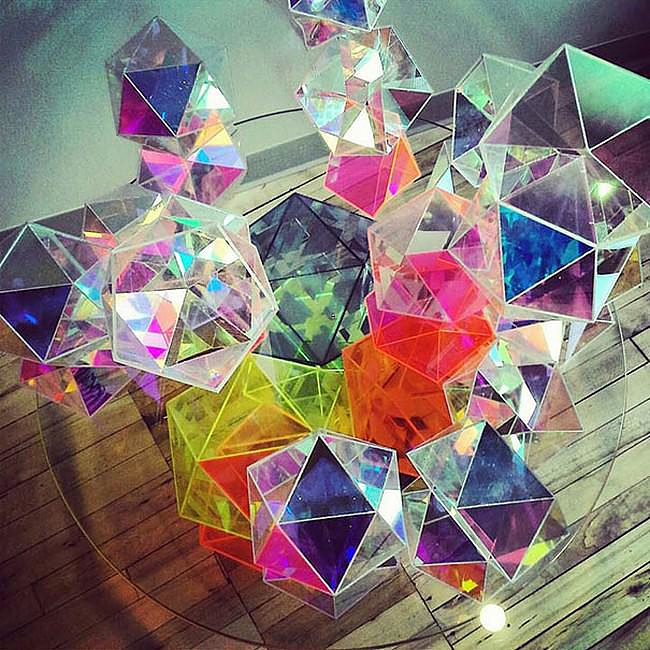 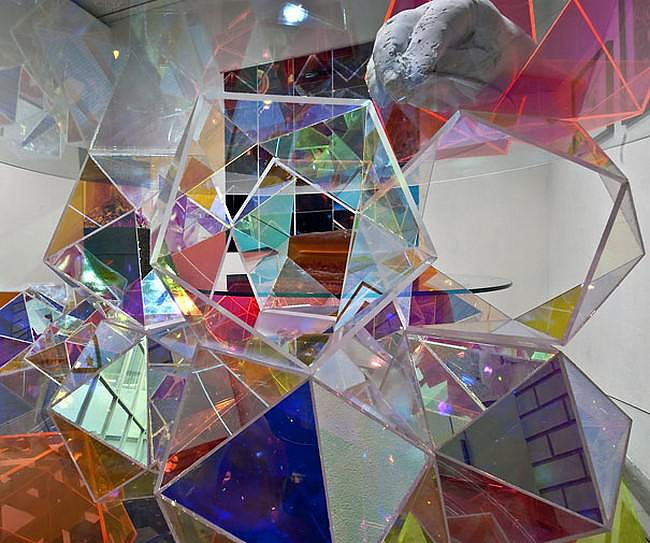 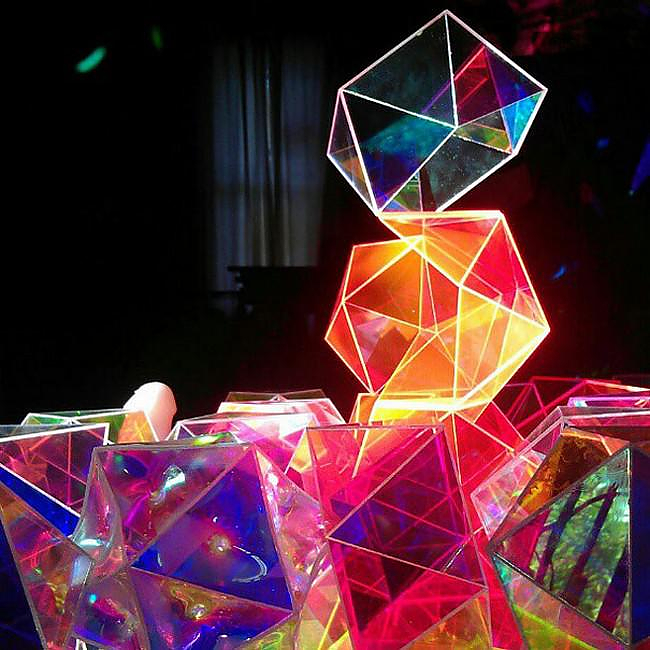 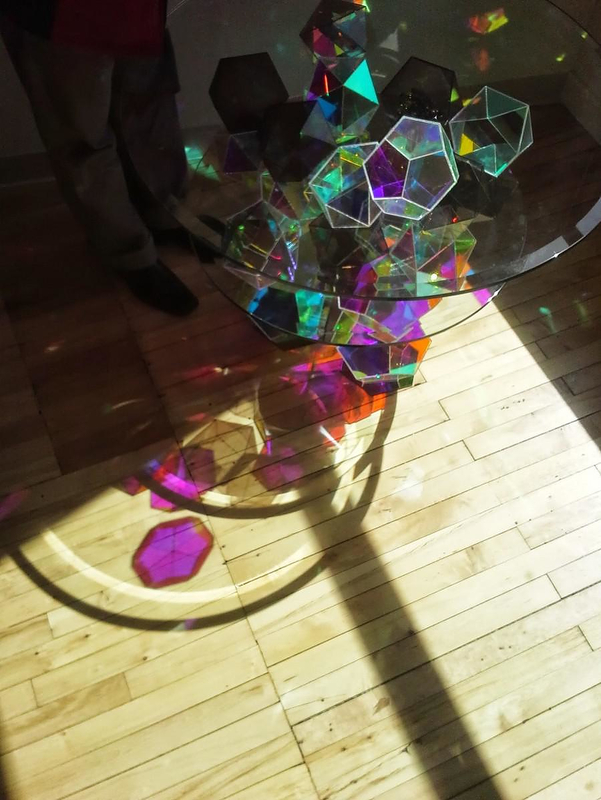 A round glass tabletop is placed on a reversed pyramid of elegantly cut glass crystals, which divide the natural light into hundreds of rainbow reflections the walls. 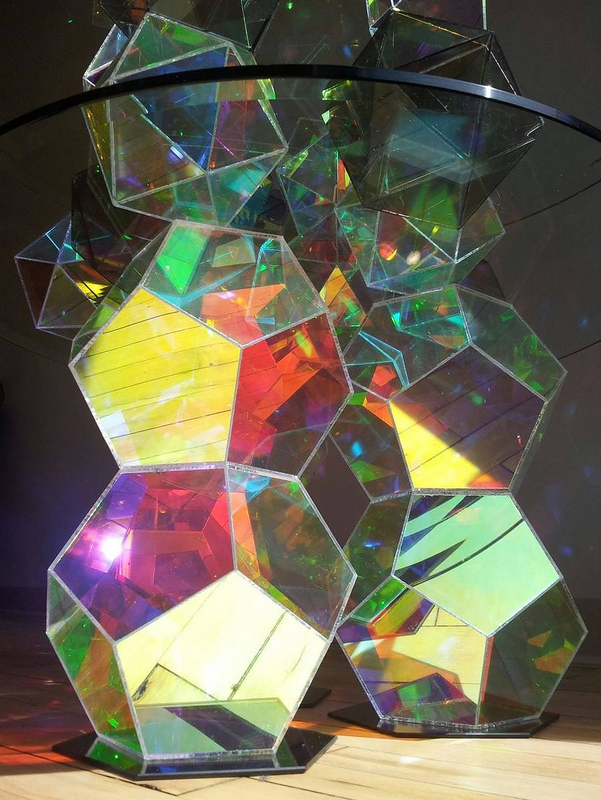 The multi-angled shape of the crystals makes sure that there is enough light reflections to turn the sunlight into a decorative element of your interior décor! 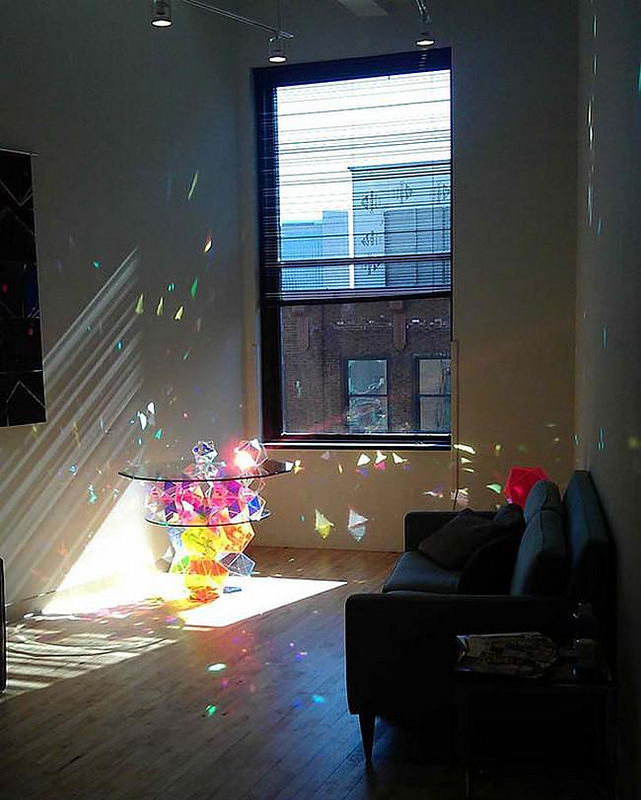 I want my objects to influence our experience. 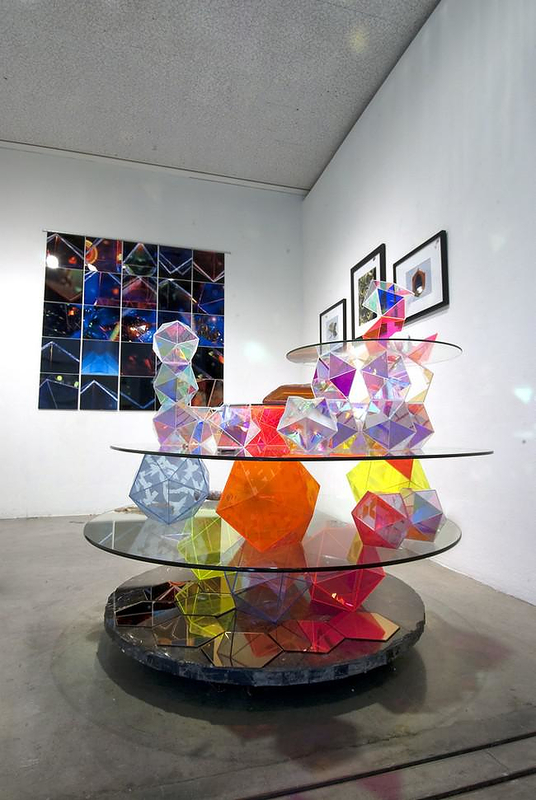 I embrace chance, and allow the experiential aspect of my work to inform the composition of prints, paintings, sculptures, utilitarian objects, and jewelry. 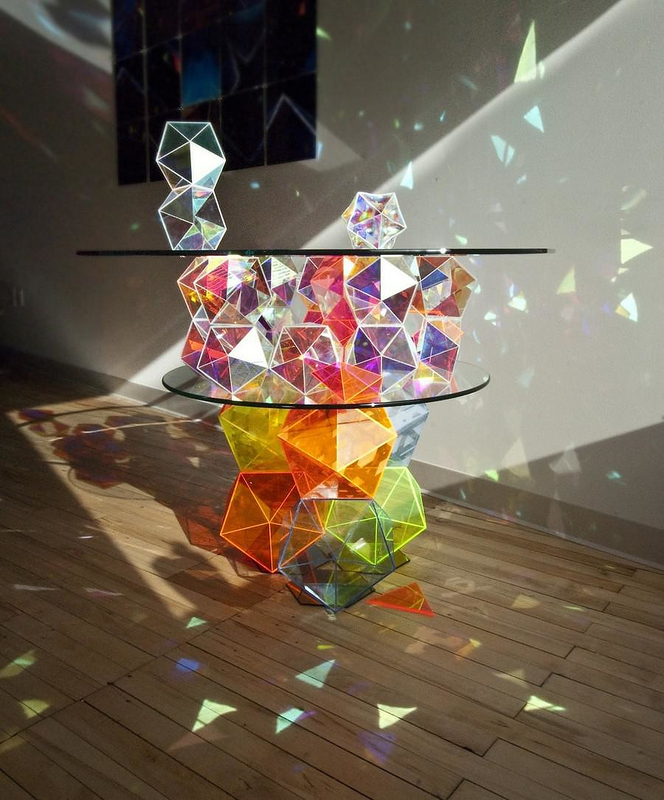 We think that the Sparkle Palace Cocktail Table is a flawless embodiment of this philosophy, a stunning artwork that constitutes an exploration of simple forms creating complex structures through the ingenious use of geometry and light.